Magaldi is the leading supplier of industrial processes, conveying solutions, equipment and services for global power, waste-to-energy, cement, foundry, steel and metallurgical companies. 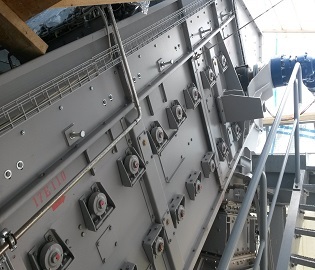 We have implemented more than 1.200 projects worldwide, featuring a broad range of mechanical solutions for high temperature material handling, with a role varying from the Original Equipment Manufacturer to Turn Key Installation and Operation & Maintenance Contractor. Our technologies are based on the Superbelt® technology: a patented steel conveyor belt able to convey hot, abrasive and heavy materials in extreme conditions, from fine to bulk materials. STEM® technology is based on modular units that can be combined together to realize different configuration plants. 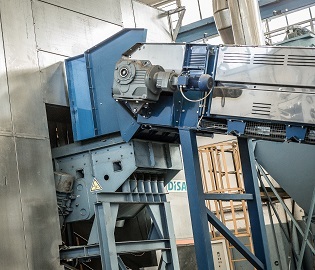 The MAC® is a unique system for dry extraction, air cooling and mechanical handling of bottom ash from pulverized coal-fired boilers. 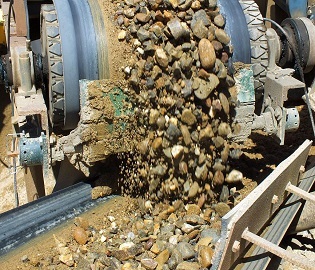 The MAR® is an improvement of the MAC® system for “dry” extraction, cooling and handling of bottom ash. The MAP® Magaldi Ash Postcombustor is a development of the MAC® system to extract, convey and cool bottom ash. 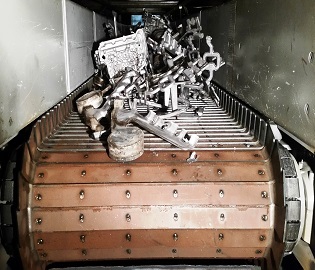 The MAS® is a patented integrated “dry” mechanical system for handling all ash from solid fuel fired boilers. 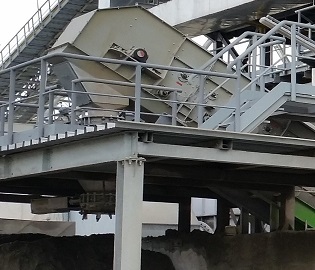 The Magaldi Ecobelt® FA is a mechanical conveyor designed for handling fly ash from the hoppers located along the flue gas path. 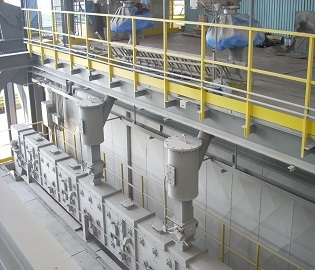 The Magaldi MRS® is a new process concept to mechanically handle, in a dry way, the rejects from coal mills. 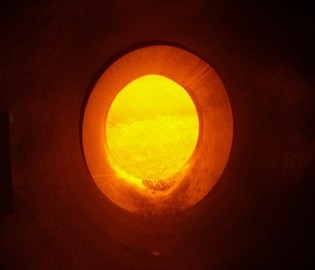 The Magaldi FLUIMAC® is a patented system for dry handling of bed ash from Fluidized Bed Combustion boilers. The Magaldi Superbelt® conveyor, entirely made of steel pans, is the ideal solution for castings conveying. The Magaldi Superbelt® conveyor, entirely made of steel pans, is the ideal solution for de-gating and sorting activities. 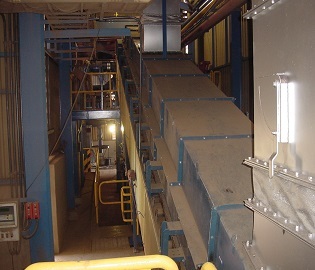 The Magaldi Superbelt® conveyor, entirely made of steel pans, is the ideal solution for hot foundry sand. The Magaldi Superbelt® conveyor, entirely made of steel pans, is the ideal solution for shot blasting loading and unloading. 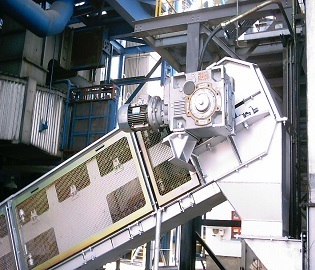 The Magaldi Superbelt® conveyor, entirely made of steel pans, is the ideal solution for sprue crusher feeding. 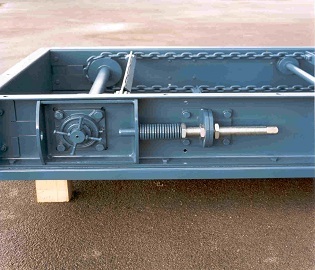 The Magaldi Superbelt® conveyor, entirely made of steel pans, is the ideal solution for mold dump conveying. 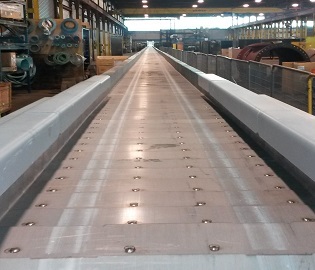 The Magaldi Superbelt® conveyor, entirely made of steel pans, is the ideal solution for casting conveyance. 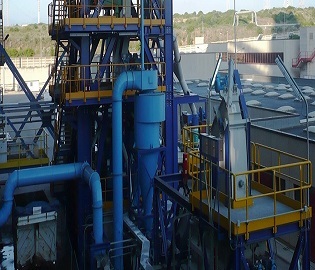 Magaldi offer a solution to eliminate the dust/material dispersion, avoiding environmental pollution and reducing operational costs. 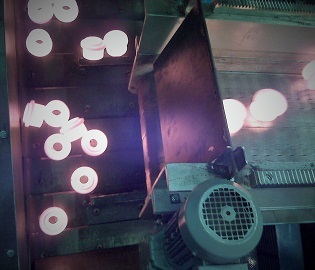 Argonics cleaning systems are the best option to clean rubber belts handling fine, dusty and grainy materials. 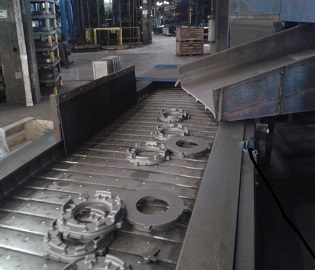 Reliable weighing belt feeder for hot & abrasive materials. A Magaldi Superbelt® steel belt conveyor designed to resist to heavy impact and shock loads. 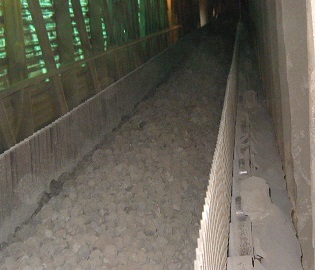 Dry extraction, cooling and conveying of bottom ash produced by grate boilers burning biomass. 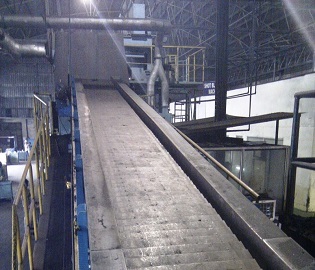 The Magaldi Ecobelt® WA is the ideal steel belt conveyor for dry extraction, cooling and handling of bottom ash produced by waste incinerators. A high dependable steel belt conveyor designed to resist to heavy impact, shock loads and wearing. 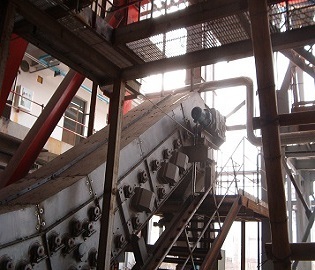 A dust proof steel belt conveyor for hot sinter conveying in severe conditions. 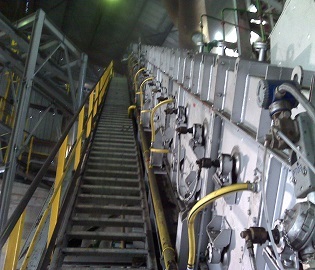 Steel belt conveyor to handle hot and abrasive materials. 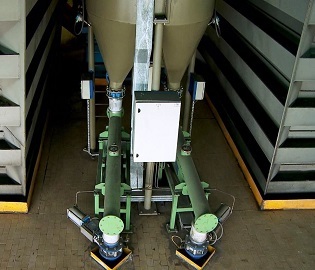 The Magaldi Superbelt® conveyor is the ideal solution for reliable clinker handling. 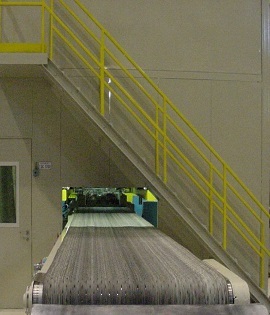 The Magaldi Supercinghia, made of buffalo leather chromo-treated strips, is the best solution for conveying steel sheets of any thickness, thanks to its unique assembling structure.